Eyeliner is an essential makeup for me. I have Asian eyes and putting on eyeliner helps make my eyes look bigger and noticeable. However, I have super oily lids which are frustrating because eye makeup doesn’t stay long on me and usually smudges around my eyes. I remember when I was in college and my classmate Christine loves to put on pencil eyeliner on her eyes and it stays all day. When I tried to put on the same eyeliner, it didn’t last on me. Instead, it left me with panda eyes at the end of the day. Back then, I do not know anything much about makeup yet so I didn’t know that the reason why it did not stay was due to my very oily lids. 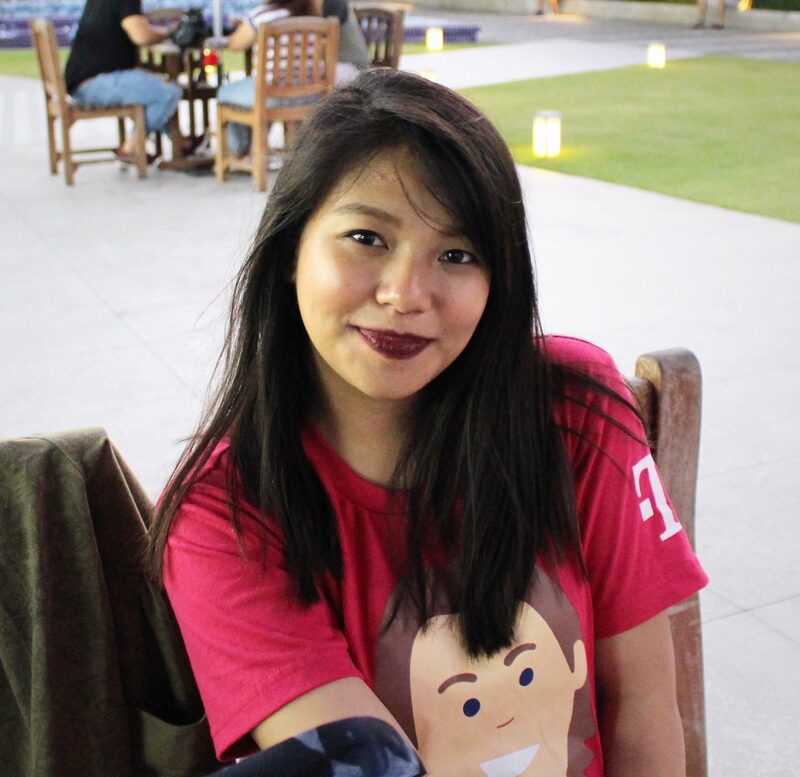 Since then, I only used liquid eyeliners since it works much better on my oily lids. Still, I was not satisfied because I do not like how they usually create a glossy or shiny look. 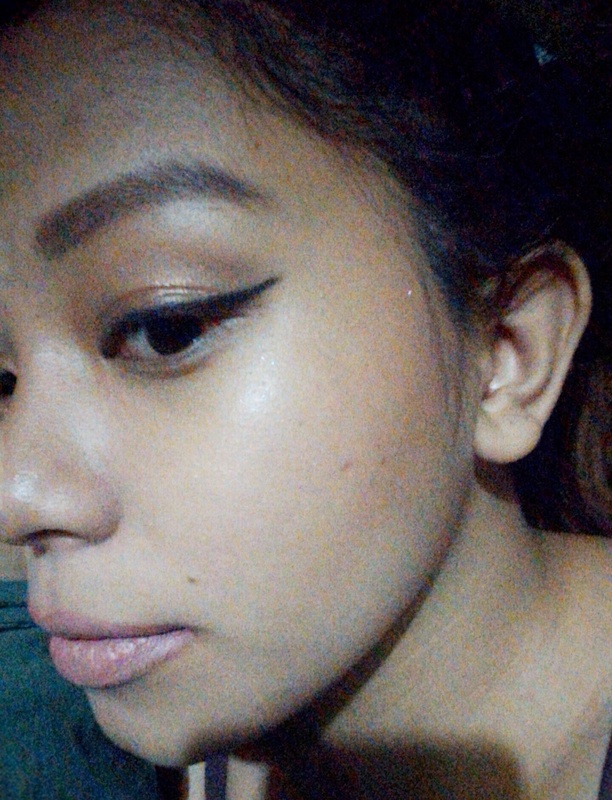 Thankfully, I found out about YADAH Goodbye Smudge Eyeliner (P395) and went to Beauty Bar to try it out! This is a gel liner and on their website, they claim that it is smudge-proof all day long. I got the shade in Real Black. The texture of this liner is very creamy and pigmented. It has a matte finish which I am very happy about. It glides on smoothly and doesn’t drag the skin on my lids when I apply it which is a plus. After a few hours of wearing it, it DID smudge a bit on me. BUT, it was not that noticeable like the other eyeliners I’ve tried. It glides on smoothly that I was even able to create a winged eyeliner look! Since it still smudges a bit on me, I always apply an eye primer before putting this on. And guess what, it works! Totally smudge proof on my very oily lids and it stays all day. However, even with its creamy consistency, it still hardens after a while. But no worries, this comes with a sharpener. After sharpening, it’ll go back to its usual smooth application. 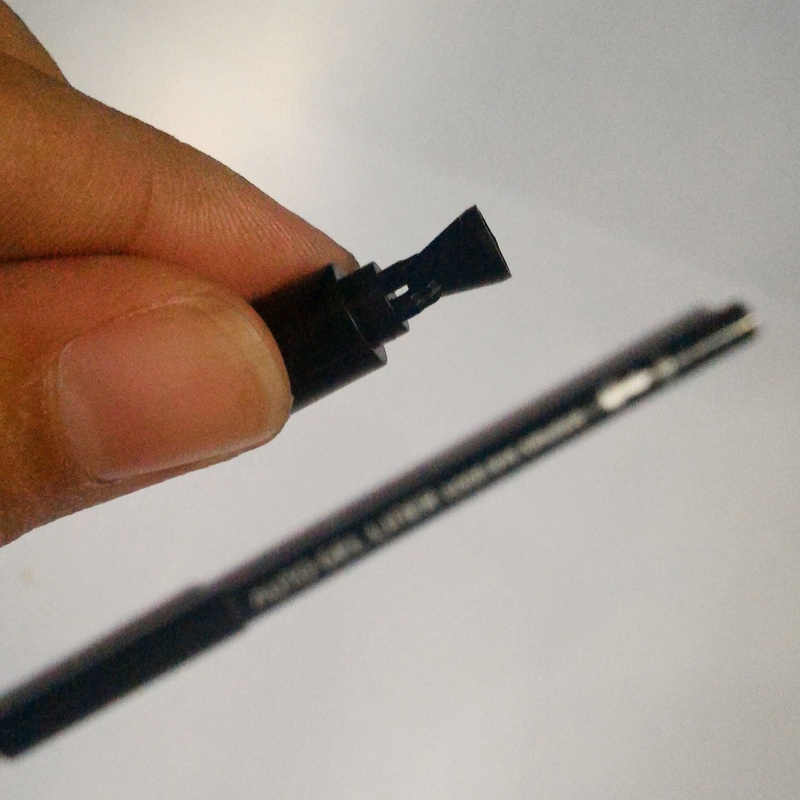 Overall, I love this eyeliner and I totally recommend this to those who have oily lids like me. 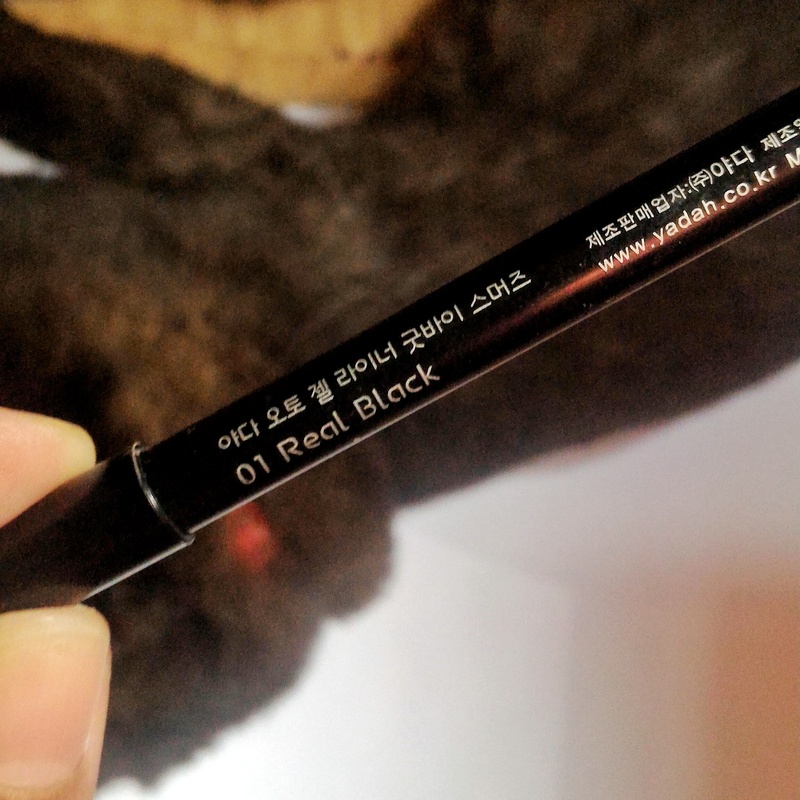 It’s super black, has a matte finish, stays all day and is also smudge-proof with a little help from an eye primer. This is currently what I’m using right now aside from the K-Palette 24 Hr Real Lasting eyeliner. You may purchase this online at Beauty Bar or visit any of their branches. He wants to endorse the product because it’s the same color as him – Black. I’m into eyeliners, too. And, I love gel eyeliners! I usually use ’em to line my lids before I put my falsies on. This is the first time though that I am hearing about Yadah, but I’ll definitely check this one out next time I’m at Beauty Bar. I might even purchase one. Your cat is so cute! I have a black cat who does the same thing. I have a similar oily lid/smudgy eye pencil problem. I’m not sure I can get this pencil in the States, but it’s good to know the tip about the eye primer. Eye primers are a must for oily lids! 🙂 Oh, what’s the name of your cat? Thank you! It really takes lots of practice. Sometimes I do not do it the right way. So, practice, practice! I love eyeliners and think the struggle is real finding one that doesn’t smudge! This one looked great and was really pretty on you! I love your cat by the way! Your cat is so cute. You are doing a great job with the eyeliner, it looks so nice on you. I never use it because it ALWAYS smudges and I can never get it to look quite right. I have tried a few times and decided to just stop, it just doesnt work for me. I am too impatient. I am make up junkie and I love how you review this autogel liner 🙂 I have been too many struggle in putting eyeliner. On the other hand your cat is sooooo cute, I just make practice on how to put it on. Hope to learn how to put it on properly like yours. I love those cat like eyeliner. Ive already bought my own eyeliner and it could stay whole day. Problem is i do not know how to put one thus I always ask friends to do it for me. I guess i really need to allot time and practice till I get that cat like line. I’m not genius when it comes to cosmetics. 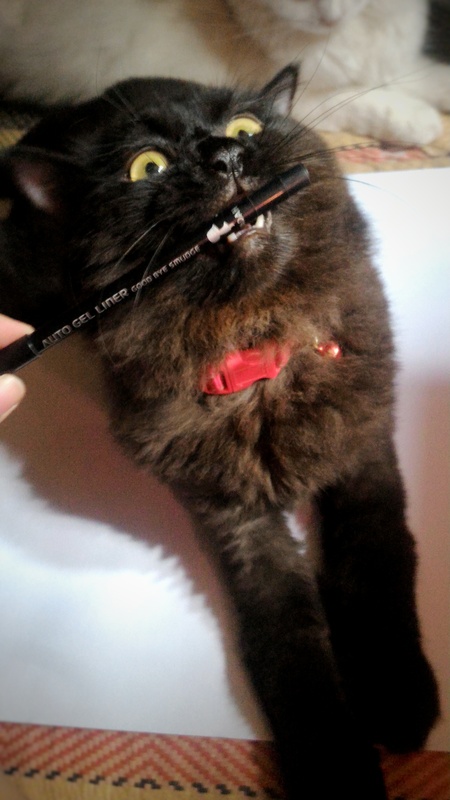 But I tried using eyeliners before. The best tip I’ve got is that you choose the best brand, not the best cheap brand. Also use powder to under your lower lash line to keep the liner in place.